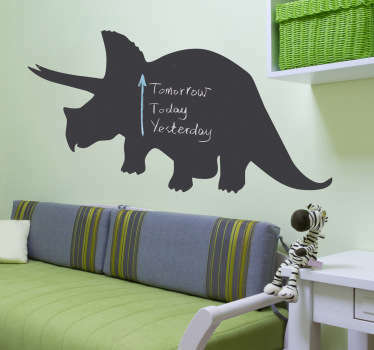 A collection of wall stickers with designs inspired by triceratops dinosaurs. 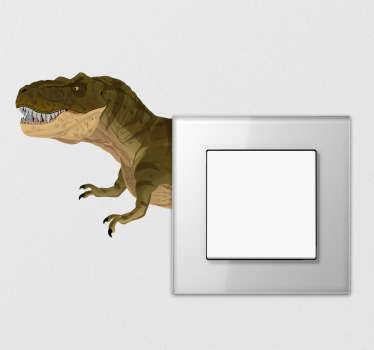 Is your little one mad about dinosaurs? 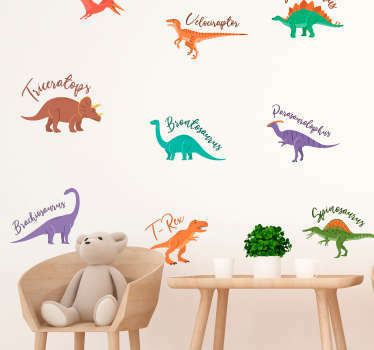 Perhaps you want to decorate their bedroom with a fun dinosaur theme! 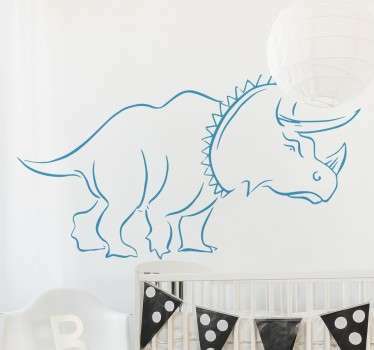 Why not add one of these dinosaur stickers to complete the look in a way that they will love. 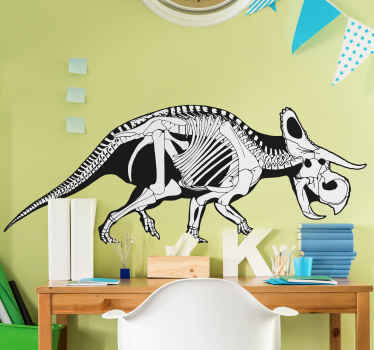 Fun designs of this ancient creature including their skeleton, cartoon style and even a chalkboard sticker!